Grey Edge offers professional certificate courses in Revit MEP for students who are looking to learn Revit MEP Basic, Revit MEP Advanced and Revit MEP Families. Our trainers focus on covering all the essential aspects required to handle complex challenges involved in industry related projects and apply solutions strategically to meet project deadlines. 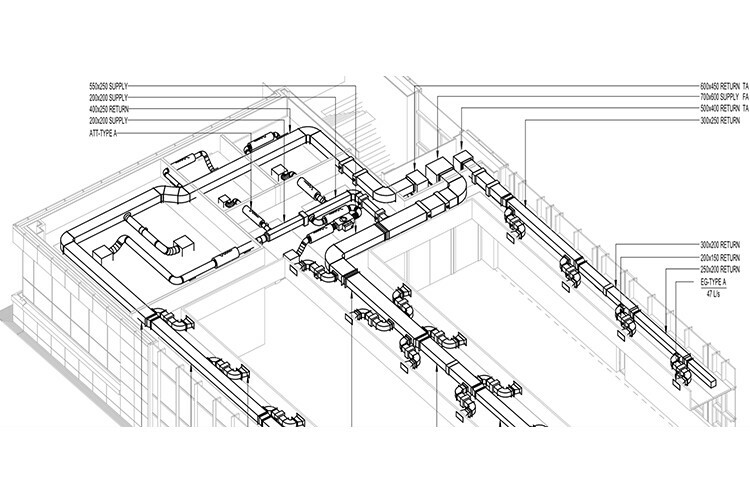 Revit MEP has emerged as an important tool for MEP design & documentation professionals. This course is divided into levels for beginners and advanced. For beginners, our Revit Training Classes train students about the core functionality tools of Revit MEP which are vital for creating 3D modelling and design projects. In the advanced level, our Revit BIM Training Courses in Mumbai teaches students additional features available in the software that help students to manage and control projects as well as learn advanced detailing and documentation techniques for the most complex projects. In addition, students wanting to learn about Revit Families are trained about the application of parametric family tools from simple to advanced objects in our Autodesk Revit MEP Training Center in Mumbai. Students opting for our Autodesk Revit MEP Training Course in Mumbai will learn concepts related to Documentation with accurate Annotation designs and Cost-Estimation, HVAC (Ductwork) System, Mechanical / Hydraulic Piping System, Plumbing & Domestic Piping System, Fire Fighting Piping System, Electrical – Light Circuit Design System, Electrical – Power System. Moreover, our project based training approach introduce students to real time challenges that can occur in industry oriented projects through examples and case studies.